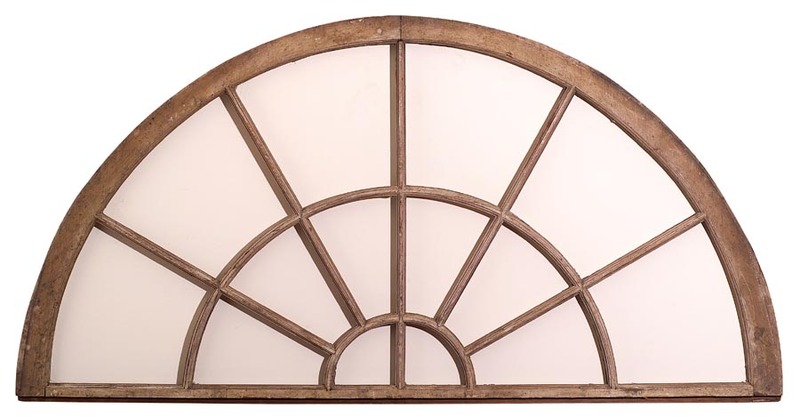 Transom, Half Round, late 18th or early 19th C.
A half round, late 18th or early 19th C., fan transom. The pine frame retains a fine patina painted surface. The original glass is missing and care should be used in handling.